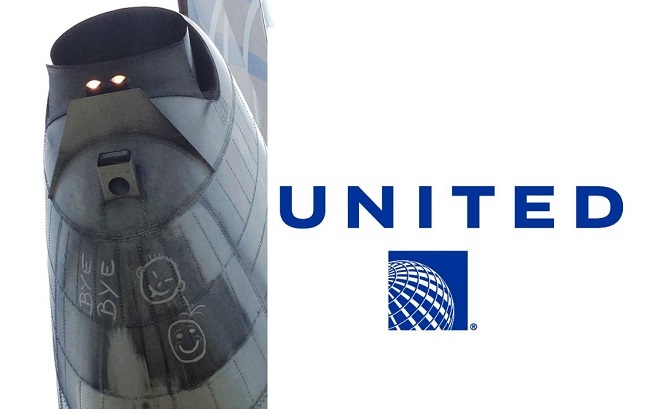 Ignoring Social Responsibility Can Destroy Your Brand, a Lesson Learned From United Airline. Ignoring Social Responsibility Can Destroy Your Brand, a Lesson Learned From United Airlines. In this report, we have studied the United Airlines Corporate Social Responsibility Report (CSR). What company has claimed and what it has done. United Airlines, Inc., commonly known as United, is an American airline headquartered in Chicago, Illinois. United operates a large domestic and international network and a regional service operated by independent carriers under the brand name United Express. In 2016, United and United Express operated more than 1.6 million flights to 339 airports across five continents, carrying more than 143 million customers and generating revenue of US$36.556 billion. With these revenues, United has become the world’s third largest airline, after American Airlines and Delta Airlines (“United Airlines Reports Full-Year and Fourth-Quarter 2016 Performance”, 2017). To create a socially responsible image, the company releases a Corporate Responsibility Report annually to publish its efforts and achievements on creating sustainable development for the environment, community, employees, and company. The latest released Corporate Responsibility Report of 2015 is different from previous years because it emphasizes diversity and inclusion, and states the mission of the company is “to create an inclusive work environment, characterized by dignity and respect, that empowers every employee to serve the global marketplace and contribute to our success” (“Diversity and Inclusion”, n.d.). Furthermore, in order to provide executive oversight, guide diversity and inclusion strategy, establish objectives and monitor progress toward goals, the company organized the United Executive Diversity Council consisting of officers and senior leaders from various groups within the company who are committed to acting as champions of diversity and inclusion. With over 86,000 employees who are provided with a variety of training opportunities and relief fund if necessary, the company earned a spot on the “Best Place to Work for LGBT Equality” list published by the Human Rights Campaign (“Best Places to Work for LGBT Equality”, 2017). The company further enables employees to provide a better experience to customers by equipping employees with the technology and information they need, including more than 50,000 mobile devices. With regards to contributions to the community, United built a partnership with the March of Dimes National Ambassador program in 2015. During this year, its employees, customers and business partners helped to raise more than $3 million to help ensure that all babies get a healthy start to life. United is also making efforts towards becoming a sustainable and responsible airline. For example, the Eco-Skies Sustainability Commitment made by the company commits to minimizing the environmental impacts associated with its operations, and continuously looking for ways to reduce its footprint in the air, on the ground and at its facilities. (“Eco-Skies sustainability commitment”, n.d.). “Business is not divorced from the rest of society. The two are interdependent and it must be ensured, through mutual understanding and responsible behavior, that business’s role in building a better future is recognized and encouraged by society.” (“Corporate Social Responsibility (CSR)”, n.d.). This means that the highest priority of management should be not only to maximize economic profits but also to support the society where they operate. Such support could be generally considered as Corporate Social Responsibility (CSR), which is nowadays a common feature of annual reports. 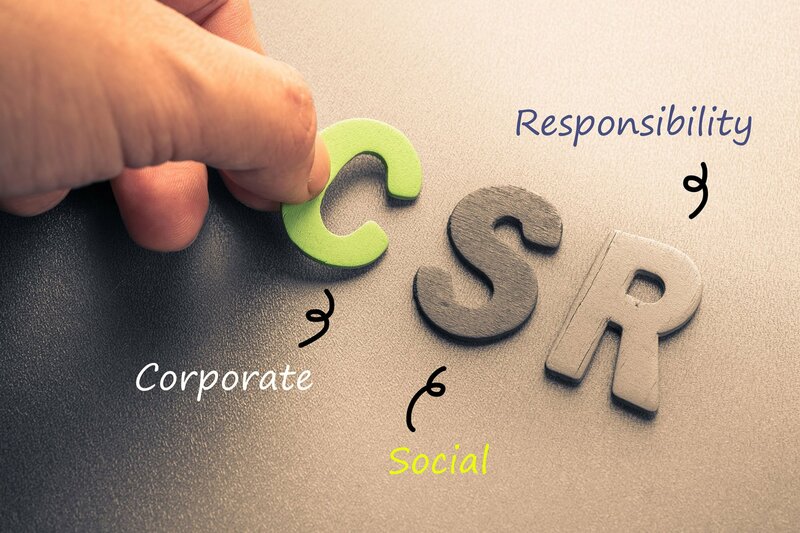 Reporting CSR is considered as an important tool for improving a firm’s relationship with its stakeholders and its reputation among customers, employees and suppliers. This is because employees and consumers may have personal concerns and commitments about the sustainability aspects of the firm. To attract and keep the customers who have such concerns, it becomes important for the firm to consider sustainability when developing its strategy. Focusing on sustainability could also allow the firm to diversify against other competitors. This could result in attracting new customers and thus increase the firm’s profit. Research done by Lorenço, Callen, Branco, and Curto (2013, p. 10) has shown that firms with a valuable intangible asset such as corporate sustainability, will have a long-term advantage against firms with no such asset. This will result in a higher valuation of the firm by the market. Improvements in sustainability will also result in a more efficient use of limited resources. Lowering the usage of, for example, oil, will not only lower the firm’s effect on the environment, but it will also result in lower costs (Deegan & Unerman, 2011, p. 399). The implementation of sustainable thinking could also result in finding new markets which have not yet been exploited. So-called ‘eco’ products and food produced locally could be seen as an example of products developed in a sustainable way. For the airline industry, more and more challenges regarding CSR face the airlines. Since the beginnings of the commercial air transport, global air traffic has continuously increased as well as competitive pressure with more and more airline companies entering the industry. Nowadays, the airline business is characterized by low, and even negative profit margins (Doganis, 2006). To keep up with rising demand and competition, airlines urge authorities to increase the capacities at their hubs, which requires years or even decades to plan. Increased capacity, however, also costs additional time and labor to check the security of flights. The airline companies need to leverage resources as efficiently as possible to differentiate themselves without hurting the consumers’ flight experience. Environmental concerns also increase pressure on airlines. Airlines are well-known to be heavy emitters of exhaust and noise, and air traffic has been proven by scientists to contribute to climate change. 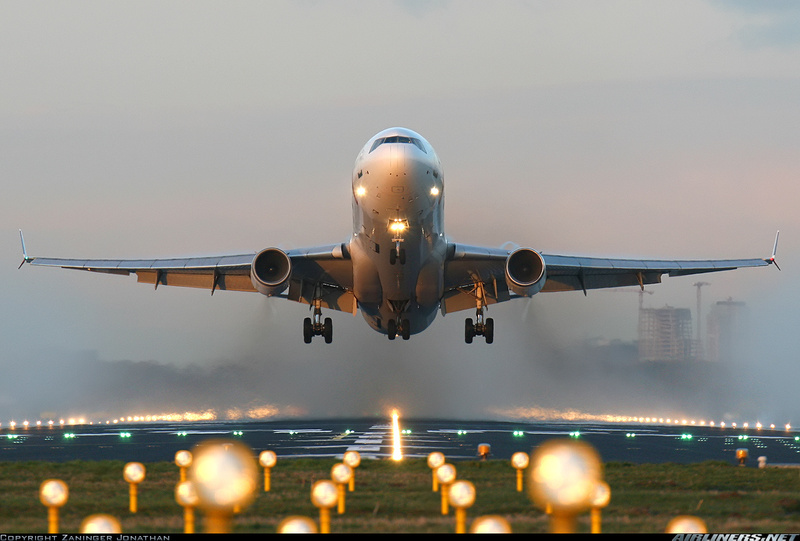 With increased public awareness of these issues, people are paying greater attention to the efforts of airlines to improve fuel efficiency, reduce waste, use alternative fuels, and more. Therefore, reports on sustainability and CSR have become a critical means of reporting a company’s accountability towards stakeholders and consumers. In order to evaluate United’s environmental performance, we need to first discuss the International Air Transport Authority, or IATA. IATA is trade association of the world’s airlines and it sets policies and standards for the industry across a range of issues, including the environment. (Akkayaoglu, 2015). We will review the standards IATA has set for the airline industry, and assess how United Airlines has performed against these standards. Improved fuel efficiency of 1.5% per year from 2009 to 2020. 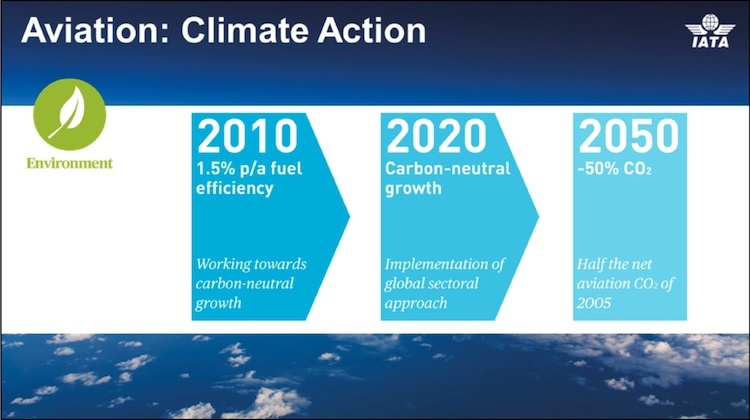 No growth in carbon emissions from 2020 onwards, otherwise known as carbon-neutral growth. Reduce CO2 aviation emissions by 50% by 2050. (“Climate Change”, n.d.). While United Airlines states there alignment with IATA targets on their website (“Fuel efficiency and reducing emissions”, n.d.), they reword it slightly to simply “Reduce year-over-year consumption through fuel efficiency and operational improvements – Achieved” (“Eco-Skies sustainability commitment”, n.d.). Moreover, there is no explanation of how it applied the standard to their operations, and it is not clear how well they performed against IATA’s targets in recent years. For example, in one section of United’s website, it posts the following data about Energy Consumption (see Table 1 in the Appendix). If United was to reduce fuel consumption by 1.5% from 2013 to 2014, they would have needed to have decreased fuel consumption by 48,063,590 gallons, which is calculated by multiplying 2013’s amount by 1.5%. When we subtract 48,063,590 from 3,204,239,352, we get 3,156,175,762, which is the amount of fuel consumption United should have achieved to meet the 1.5% reduction target. This is less than their actual consumption in 2014, which was 3,183,378,284 gallons, so they did not meet this target, though it was at least a reduction from 2013. When we multiply 2014’s fuel consumption amount by 1.5%, we get 47,750,674. Subtracted from 2014’s amount, the fuel consumption target for 2015 would have been 3,135,627,610. Given that the actual fuel consumption for 2015 was 3,215,520,611, thus not only failing to meet the 1.5% fuel reduction target but actually increasing consumption from 2014. United does not seem to address this failure to meet IATA’s targets anywhere on its’ website. Instead, it only acknowledges the actual fuel savings it did make across a number of areas, including weight reductions, reduced engine taxi, engine washes, and auxiliary power unit savings. (“Fuel efficiency and reducing emissions”, n.d.) While this information may be correct, it seems misleading to not acknowledge that they did not meet IATA’s fuel efficiency targets. By comparison, Delta Airline at least provides a more detailed assessment of their performance against this goal, they also do not directly address whether they achieved the target as it is stated. Instead, they state that Delta has increased fuel efficiency by nine percent since 2009. (“Delta Corporate Responsibility Report”, 2015). While it is not 2020 yet, it would be reasonable to expect some attempts to decrease emissions in the years leading up to 2020, and it appears United has done that, with a couple of exceptions. Those exceptions are in Direct (scope 1) emissions from 2014 to 2015, emissions increased by 313,800 metric tons, and in Indirect (scope 2) emissions from 2013 to 2014 there was an increase of 108,898 metric tons (see Table 2 in the Appendix). To achieve a 50% reduction in CO2 emissions, United will have to start making reductions in their CO2 emissions yearly starting immediately, since a reduction of that amount would be extremely difficult to achieve in a short timeframe. To that end, we can see there was a reduction from 2013 to 2014, but there was an increase from 2014 to 2015 (see Table 3 in the Appendix). Based on our analysis of United’s environmental performance against IATA’s targets, with respect to the fuel efficiency targets, United seems to be trying to mislead the public in their performance in this area by re-stating the target to say that they only have to improve their fuel efficiency, not mentioning by what percentage, and then stating that they have achieved that target. By misleading the public to make them think that they have achieved IATA’s targets by re-stating the targets to align with their own performance shows evidence of greenwashing. Otherwise, while United has made some improvements in their performance of emissions reductions, it is too soon to say if they have achieved the targets set out by IATA in this area. In the future, United should consider taking a more transparent approach to assessing their performance against IATA’s targets. We feel the public will appreciate an honest assessment of their performance against these targets, combined with a detailed action plan for how they are going to fix their shortcomings, more so than trying to play with the wording of IATA’s targets to make sure it suits the progress (or lack thereof) they have made thus far. Even though in United’s Human Rights Policy Statement it is clearly stated that “United prohibits all forms of corruption and bribery.” (“Human rights policy statement”, n.d.), there is past evidence that United has been involved in bribery. In 2015, United was fined more than $2 million, and then-CEO Jeff Smisek and two other high-ranking United officials were forced to resign after the airline investigated the executives’ dealings with Samson (Porter, 2017). An incident on July 14, 2014 crystallized the lack of trust between United employees and management. A flight was about to depart San Francisco for Hong Kong when menacing graffiti—the words “bye bye” and two crude faces—were found scrawled in oil on the fuselage. The flight attendants on board refused to fly unless the plane was given a full additional security sweep—Malaysia Airlines’ Flight 370 had gone missing four months earlier. United’s flight operations, safety, and maintenance teams, along with the plane’s pilots, responded that it had already been thoroughly checked. The standoff ended with the cancellation of the flight, and the flight attendants were fired for insubordination (Bennett, 2016). 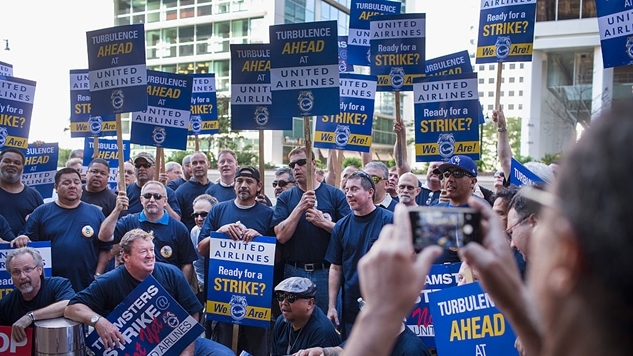 However, there have been some positive events in United’s treatment of its workforce. For example, in 2015 United hosted 107 events in 25 locations, including five international locations, with the participation of more than 15,000 employees and customers to link awareness with personal and professional development, employee engagement, and knowledge and understanding of the various dimensions of diversity. Also, the company supports employees to run Business Resource Groups in order to help achieve their goals of diversity and inclusion. Several BRGs, like EQUAL (LGBTA), UNITE (multi-cultural), United for Veterans (veterans), uIMPACT (women), and GenTrend (millennials), had already formed and their membership all grew around 150% in 2015 (“Diversity flies with United”, n.d.). 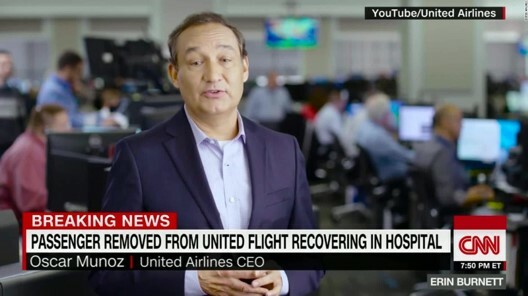 Although United has included some positive things in its CSR about its relationship with customers, the community, and how it supports community events and charity work, such as helping young students to find a job, helping babies to get a healthy start and hiring and supporting army veterans, in recent news events there are several claims and accidents that shows United did not respect passengers or even its own employees. Despite United’s claims that they are supporting veterans, there are multiple lawsuits filed by veterans against United. In one lawsuit a retired veteran claimed that he was not paid his sick leave (“Lawsuit Against United Airlines for Violating Employment Rights of U.S. Air Force Reservist”, 2016). In another lawsuit filed by a veteran, TenEyck LaTourrette, United was sued for underpayment for his service at United (“Justice Department Settles Lawsuit with United Airlines to Enforce Employment Rights of Air National Guardsman”, 2012). As Dave and the other band members looked out onto the tarmac where the luggage was being unloaded, they recognized the guitars. Their reaction was a blend of terror and disbelief. Later he indeed discovered that his $3,500 Taylor guitar’s neck had been broken. What followed was a customer service nightmare. Dave tried for nine months to get a claim processed with United. The response was a firm and consistent “no.” They claimed he had waited longer than 24 hours to process a claim, so he was out of luck. 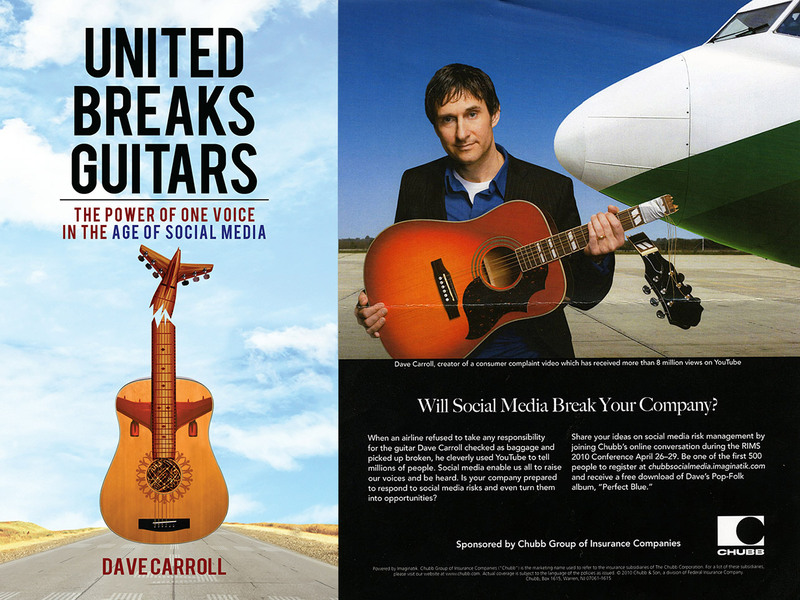 It cost him $1,200 to fix his beloved instrument and since United refused to pay, he wrote the song United Breaks Guitars and uploaded it to YouTube. The video had been viewed 15 million times, with external references expanding that audience by many more millions. It was widely reported that within 4 weeks of the video being posted online, United Airlines’ stock price fell 10%, costing stockholders about $180 million in value. In a more recent incident, on April 9th 2017, when a traveller in Chicago refused to give up his seat on an overcrowded flight to Louisville, Kentucky, police yanked him into the aisle and dragged him by his hands along the floor, causing him to bleed after cutting his head on an armrest. Horrified fellow passengers took videos on their phones and posted them to social media. The company’s initial response was possibly the worst crisis management in history, noted one media commentator. As videos of the bloodied man quickly went viral, Oscar Munoz, the carrier’s boss, woodenly apologized for having to “re-accommodate” customers. In an internal letter to staff, Mr Munoz said crew had “no choice” in their action and blamed the flyer for not cooperating. (“Police drag a man from a United Airlines plane”, 2017). Within 24 hours of the incident, United’s CEO praised his employees in an internal memo for their adherence to company policy, reinforcing his commitment to stand behind them in their proper handling of a “belligerent” customer who refused to give up his seat in deference to corporate wishes. It appears from the memo that the CEO was certain the airline did everything right and that the passenger did everything wrong. (Collins, 2017). However, in the subsequent 24 hours, the CEO realized another version of the certainty when the company’s stock dropped significantly because of the social media firestorm. 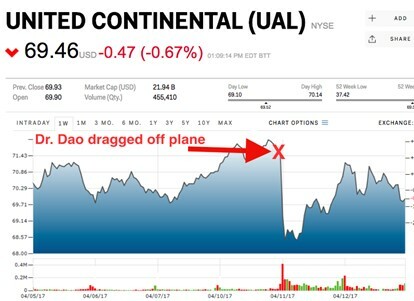 The CEO changed his attitude and began shifting to full damage control mode when he realized, as far as the public was concerned, the passenger did nothing wrong and United did nothing right. Later on, United Airlines reached a confidential agreement with the passenger’s lawyers and published an incident report accepting the airline’s faults. United will limit use of law enforcement to safety and security issues only. United will not require customers already seated on the plane to give up their seat. United will increase customer compensation incentives for voluntary denied boarding up to $10,000. 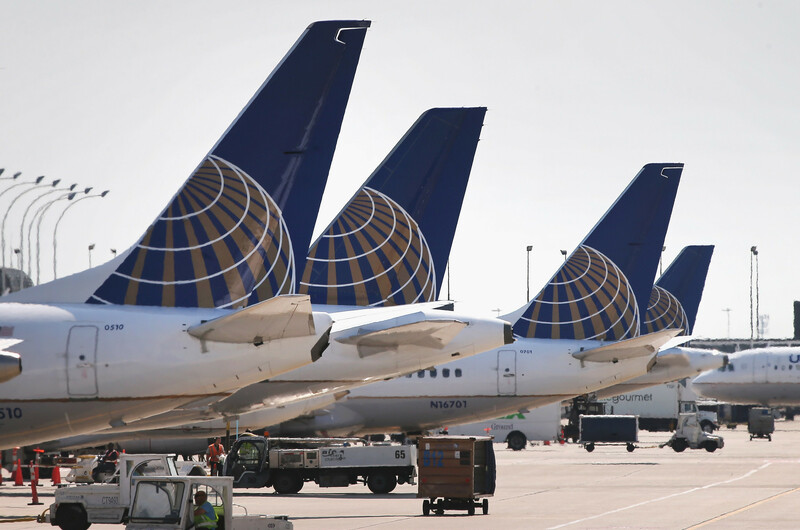 United will establish a customer solutions team to provide agents with creative solutions. United will ensure crews are booked onto a flight at least 60 minutes prior to departure. United will provide agents with additional annual training. United will create an automated system for soliciting volunteers to change travel plans. United will reduce its amount of overbooking. United will empower employees to resolve customer service issues in the moment. United will eliminate the red tape on lost bags. United will adopt a new no-questions-asked policy on permanently lost bags. In these instances, United will pay a customer $1,500 for the value of the bag and its contents. (Brancaccio, 2017). Despite several lawsuits and customer claims, United has not learned an important lesson: the reputation of a business is built by customers and not employees, so it is very important to give the right impression irrespective of the customer’s race, gender, wealth or position. How does United’s CSR Reporting Compare? United does not report on its CSR performance in its annual, quarterly, or regular investor reports. It does refer to the regulatory compliance aspects of the environment and the collective bargaining aspects of employee relations in terms of the number of agreements in place and their expiry dates. It also discusses the risk that adverse publicity could have on the company’s brand, but only from accidents. No connections are made to the company’s CSR; neither as a preventative nor a responsive mechanism. Its two largest rivals – American and Delta – also do not include CSR in their annual reports. ition their Standards of Business Conduct in their section on Providing a Return for our Investors section, described as a “moral compass, setting clear expectations for each of us.” However, while the company reports on accomplishments it does not do so against internal or industry benchmarks, so it’s not possible to measure American Airlines relative performance. (“American Airlines Corporate Social Responsibility Report”, 2016). Delta provides a high level of disclosure, following Global Reporting Initiative (GRI) standards, and using third parties to confirm the integrity of its environmental reporting. Out of the three companies, only Delta uses an Environmental, Social and Governance (ESG) sustainability framework to analyze its corporate performance. GRI is an “an international independent organization that helps businesses, governments and other organizations understand and communicate the impact of business on critical sustainability issues such as climate change, human rights, corruption and many others.” Delta is the only company of the three that reports against internal goals. It is also the only company that explicitly extends its CSR commitments, GRI guidelines and ESG framework to its supply chain. It also measures its level of disclosure against GRI standards and includes this analysis in the CSR report. (“Delta Corporate Responsibility Report”, 2015). In comparison, Delta’s reporting demonstrates a high level of commitment to CSR and disclosure, and a strong link between the company’s CSR, corporate strategy, and financial performance. American Airlines makes the link between CSR and corporate goals, but its reporting is more superficial as compared to Delta, and not tied to previously set goals. United has the weakest in terms of disclosure, links to corporate objectives and benchmarking. While Delta and American produce consolidated CSR reports, United spreads their information over 28 webpages. The information presented there should be more forward looking and policy oriented, but unfortunately, most of it is anecdotal. There is some data on carbon emissions, resource use, and corporate giving and volunteerism, but it is given separately from the narrative discussion on these topics. This organizational structure and disconnect between the numbers and the narrative, makes the United report difficult to navigate. The depth of discussion suggests that the reporting is geared towards a general public at the level of minimum-compliance with what might be expected from a company of United’s size. Do better Companies have more Robust CSR Policies? Researchers have linked Corporate Social Responsibility and ethical management to improved corporate reputation (Maden, Anken, Telci, & Kantur, 2012) and increased financial performance (Sun & Cui, 2014). Does United, with the weakest level of disclosure and connection to corporate strategy, fare worse than American and Delta along these dimensions? On Corporate Reputation, United was slightly ahead of American but far behind Delta in the annual Airline Quality Ranking evaluation (Bowen & Headley, 2016). The Ranking is an independent review of US airlines along 8 dimensions including frequency with which travellers are denied boarding, lost luggage, and on-time arrival. Similarly, Skytrax – an airline review company – conducted a survey ranking the quality of 100 airlines worldwide. It placed Delta at 35th, United 68th and American 77th. On financial performance, a review of 11 US airlines 2015 financial reports found United last when comparing the difference between the revenue and cost per Available Seat Mile (a standard airline KPI that takes into consideration fleet size and routes travelled) (Stalnaker, Usman & Taylor, 2017). American ranked 9th and Delta 4th. While this brief review does not prove causality, it does suggest a correlation between CSR and corporate reputation and performance. The airline industry has struggled in recent years. A combination of high fuel prices, competition from no-frills startups, and economic fluctuations has resulted in shrinking margins and cost cutting measures which ultimately impact the consumer experience. On the environmental side, airline travel is a major source of pollution, from emissions but also waste generated by passengers. Airlines and airline staff operate internationally and air travel creates direct and indirect employment around the world. A robust Corporate Social Responsibility program can provide airlines with a code of conduct that prevents them from making inadvertent moral or ethical mistakes in regards to consumer, environmental, or labor norms. However, as this paper demonstrates, particularly for large companies with significant public-facing operations, an underdeveloped CSR policy does not negate embarrassing and costly errors in judgement. There are suggestions that a strong CSR policy correlates with corporate reputation and financial performance, although this needs to be explored further. Three weeks after United’s removal of Dr. Dao, their CEO observed noted that ‘our policies got in the way of our values and our procedures interfered with doing what is right.’ A strong CSR policy, with high levels of disclosure, and support from management, can provide a company and its employees with the guidelines and benchmarks to put values into practice and build a positive corporate reputation. Akkayaoglu, S. (2015, June 9). What is IATA? Retrieved from http://http://www.morethanshipping.com/what-is-iata/. Climate Change. (n.d.). Retrieved from http://www.iata.org/policy/environment/pages/climate-change.aspx. Fuel efficiency and reducing emissions. (n.d.) Retrieved from http://crreport.united.com/environment/fuel-efficiency. Environment. (n.d.) Retrieved from http://crreport.united.com/fact-sheets/environment. Delta Corporate Responsibility Report. (2015). Retrieved from https://www.delta.com/content/dam/delta-www/about-delta/corporate-responsibility/2015DeltaAirLines_CorporateResponsibilityReport.pdf. Deegan, C., & Unerman, J. (2011). Financial Accounting Theory (Second European ed.). London, UK: McGraw-Hill. Lorenço, I. C., Branco, M. C., Curto, J. D., & Eugénio, T. (2011). How Does the Market Value Corporate Sustainability Performance? Journal of Business Ethics, 108(4), 417- 428. Doganis, R. (2006). The Airline Business (Second ed.). London: Routledge. Eco-Skies sustainability commitment. (n.d.). Retrieved from: http://crreport.united.com/environment/eco-skies-sustainability-commitment. United Airlines Reports Full-Year and Fourth-Quarter Performance. (2017, January 17). Retrieved from https://www.streetinsider.com/Press+Releases/United+Airlines+Reports+Full-Year+and+Fourth-Quarter+2016+Performance/12431737.html. Diversity and Inclusion. (n.d.) Retrieved from https://www.united.com/web/en-US/content/company/globalcitizenship/diversity.aspx. Best Place to Work for LGBT Equality. (2017). Retrieved from http://www.hrc.org/resources/best-places-to-work-2017. Human rights policy statement. (n.d.). Retrieved from http://crreport.united.com/about-united/human-rights-policy-statement. Diversity flies with United. (n.d.). Retrieved from http://crreport.united.com/about-united/diversity-flies-with-united. Brancaccio, D. (2017, April 27). United will now give passengers $10,000 to give up their seat. Retrieved from https://www.marketplace.org/2017/04/27/business/united-airlines-munoz-passenger-removal-plan. American Airlines Corporate Social Responsibility Report. (2016). Retrieved from http://s21.q4cdn.com/616071541/files/doc_downloads/crr/CRR-Report-2016.pdf. Sun, W., & Cui, K. (2014, April 2). Linking corporate social responsibility to firm default risk. Retrieved from https://ideas.repec.org/a/eee/eurman/v32y2014i2p275-287.html. Stalnaker, T., Usman, K., & Taylor, A. (2017). Airline Economic Analysis 2015-2016 – Oliver Wyman. Retrieved from http://www.oliverwyman.com/content/dam/oliver-wyman/global/en/2016/jan/oliver-wyman-airline-economic-analysis-2015-2016.pdf.